The hardest thing for Tim Ackroyd about running NRM South’s Small Landholders program has been turning people away, but that’s also a sign of its success. Aimed at hobby farmers, small-scale farmers and ‘lifestyle blockies’ on properties in Southern Tasmania’s Huon and Channel regions, the program has just seen out its second year, and, based on participant feedback, there’s no sign of demand slowing down. “We’re trying to assist people who take part in the program to make well-informed decisions about how they manage their land, both in terms of seeing positive environmental gains and ending up with a productive agricultural system,” says Tim. 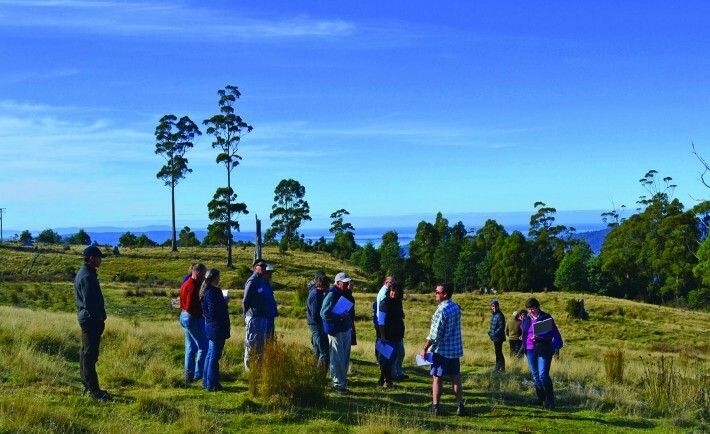 The program is based on a pilot scheme developed by Cradle Coast NRM in Northern Tasmania and includes four full-day workshops given by experts in fields such as soil health, planned grazing, weed management, native vegetation, wallaby control and animal husbandry. 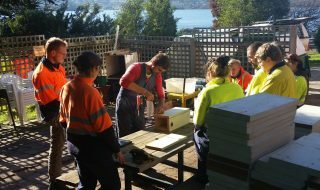 Kingborough and Huon Valley Councils have been closely involved with the program, which was jointly run by NRM facilitators Tim Ackroyd and Andrew Winkler. And as much as the program is about giving small landowners the tools to manage their own properties it’s also about creating a network of people that will provide long- term support to each other and the wider farming community into the future. That network is now officially in place through the creation of the Huon and Channel farming discussion group. “Those that get involved in the program come from a range of backgrounds, with a large proportion only recently moved to Tasmania, and while some have had farms before, others are completely new to the game,” says Tim. One of the keys to the program has been the participation of presenters who tell it like it is. Presenters have provided realistic appraisals of participants’ properties, including assessment of their soil and pasture samples. This provides landowners with impartial and realistic advice about the capabilities of their land and the role of lifestyle as part of this picture. Presenters have included Stipa’s Graeme Hand, who discussed planned grazing techniques, Robbie Gaffney from the Department of Primary Industries, Parks, Water and Environment, who spoke about issues surrounding the control of native mammal browsing, and the Tasmanian Institute of Agriculture’s Marcus Hardie, who discussed soil health, not to mention several other presenters from a variety of organisations. “Robbie’s talk proved to be of particular interest,” says Tim. “Most people didn’t initially prioritise native mammal browsing as a subject of interest or something they need to know about when joining the program, but by the end of the course that was the most important subject for nearly everyone.